Sven & Son, feature-wise is the latest high-end adjustable on the market. Yet price-wise it costs reasonably less than most other advanced adjustable beds. Before we move into detailed review, please take a quick look at the following feature set as well as its price. It's definitely a STEAL at the quoted price. In terms of adjustments, there is absolutely no match to the range of head and feet level adjustments offered by Sven and Son. Feet section up to 45 degrees. As of today, Prodigy Comfort Elite from Leggett & Platt and Reverie 9T are the only two adjustable beds on the market that offer lumbar adjustment. And both of these are high-end adjustable beds whose cost is perhaps the highest in the entire adjustable beds segment. Whereas, Sven and Son is the only adjustable bed that offers both lumbar adjustment as well as pillow tilting but costs significantly less than most advanced adjustable beds. The remote control comes with dedicated buttons for performing both lumbar and pillow adjustments. Even though Sven & Son adjustable bed is not a perfect wall hugger but when head section is lifted, the pillow portion significantly moves towards the wall. There will only be an 8 inches gap between the heardboard and pillow section and you will still be comfortably near to your bedside table. Another important factor is the performance and capacity of installed lift motors. While 650 lbs is the minimum lift capacity any adjustable bed has to offer, mid-range adjustable beds offers 750 lbs. And motors installed in each Sven & Son bed unit have massive 850 lbs lift capacity. This range of lift capacity is again offered only by industry famous Leggett & Platt and Reverie motors. These motors in Sven & Son are again ultra-quiet with absolutely no noise while performing adjustments. 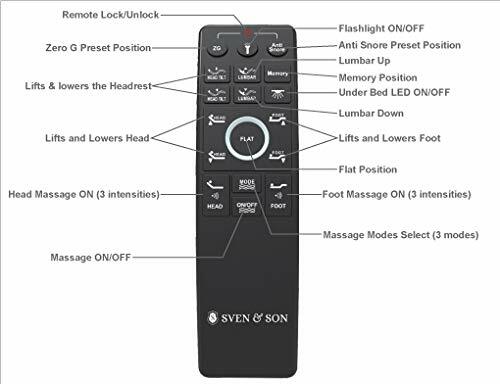 The wireless backlit remote control of Sven & Son comes with 18 functions embedded on it. The more the number of options, the easier it shall be to access and operate each functionality. Hence, all latest adjustable beds are now having individual and dedicated buttons on remotes for performing each task. The following image of Sven & Son remote control is self explantory. Sven & Son offers all 3 mandatory preset positions from its remote control. Perhaps, this is the only grey area if we have to mention as it comes with only 1 memory programmable position. Of course, all other adjustable beds in mid-range and high-end segment offer at least 2 memory savable positions. Anyways, something is better than having nothing. As the remote is having dedicated buttons for lifting and lowering of head, feet, lumbar and pillow sections, there is perhaps no chance to embed further more keys onto it. Massage functionality along with adjustability are the two primary reasons for people to opt for adjustable beds. But instead of offering standard massage functionality, adjustable beds have to have different massage types. And Sven & Son adjustable base offers next generation massage experience with 3 different massage types - pulse, wave and full body vibration. While most adjustable beds only limit to pulse mode massage, few more offer wave mode as well. But Sven & Son is the only adjustable bed to offer full body vibration. It is powerful and most relaxing, especially after a hard day out. There are 3 intensity levels to choose from - low, medium and high. Massage is again independent for both head and feet sections. 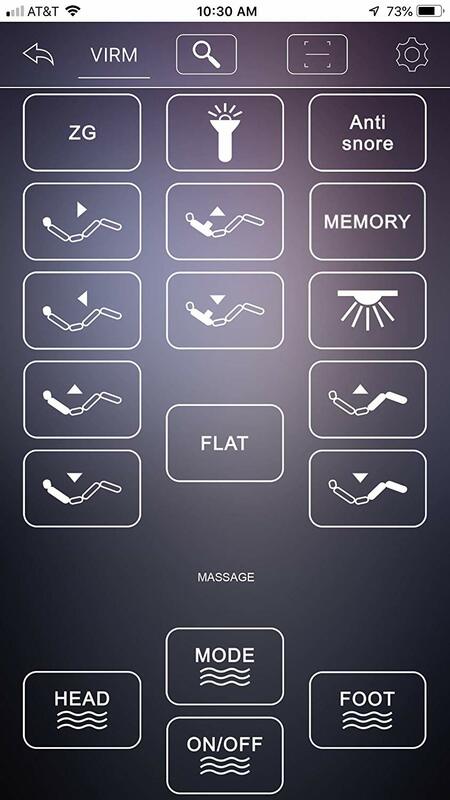 Remote has dedicated options to chose either head, feet or both and also set massage intensity levels separately. Another best feature is the number of USB ports that Sven & Son comes with. It has 2 USB ports on each side of the frame. Even if you happen to place one side against the wall, the other side will be open. And the ports too are place in the top section which makes it easy to reach for them. Sven & Son adjustable bed comes with 3 inches and 6 inches individual leg units. When combined they offer total 9 inches of height from the ground. 3 inches to 11 inches is average range and 9 inches of total height is standard and similar to all other beds. Of course, latest beds are now coming with mattress strip/grip feature that removes the need to have retainer bars. But Sven & Son, for now is offering standard mattress retainer bar at the feet level to hold the mattress in its place. Not a mandatory feature but a nice to have one, especially when you have small kids home who'd love to play with everything they find. No matter which key they press, the keys will not work as long as the remote remains in locked state. Features like Under the bed lighting system and have now become mandatory. And instead of offering a regular lamp beneath the bed, Sven & Son adjustable bed comes with LED powered under bed lighting system which is relatively more efficient than standard lights. Additionally, flashlight is also embedded on the remote control. This is one of the main features that every adjustable bed should possess. Imagine yourself in zero-gravity position with both your head and feet raised upwards with massage function running and there is a power outage. Getting out of the bed in such a situation shall be risky, especially when you try to move but your whole body weight is resting on your back. Hence, emergency power down is a must have feature. Sven and Son too comes with emergency power back, the bed gets back to Flat position in case of a power outage. Sven & Son comes in black upholstery. Remember black and grey are the very colors that perfectly fit all decors' alike. Leggett & Platt and Reverie are the only two top brands in adjustable beds segment that have a mobile app. And now Sven & Son too joins the elite list with mobile app for both Apple and Android devices. This mobile app is an exact replica of the remote control for performing all functions. There is an option to chose the mattress as well along with the adjustable base. You can opt for either 10 inch or 12 inch Luxury Cool Gel Bionic memory foam mattress. Sven & Son offers a massive 25-Year warranty on its adjustable bed. 25 years, perhaps, is the highest in the industry itself. And the mattress too comes with 10-Year warranty period. 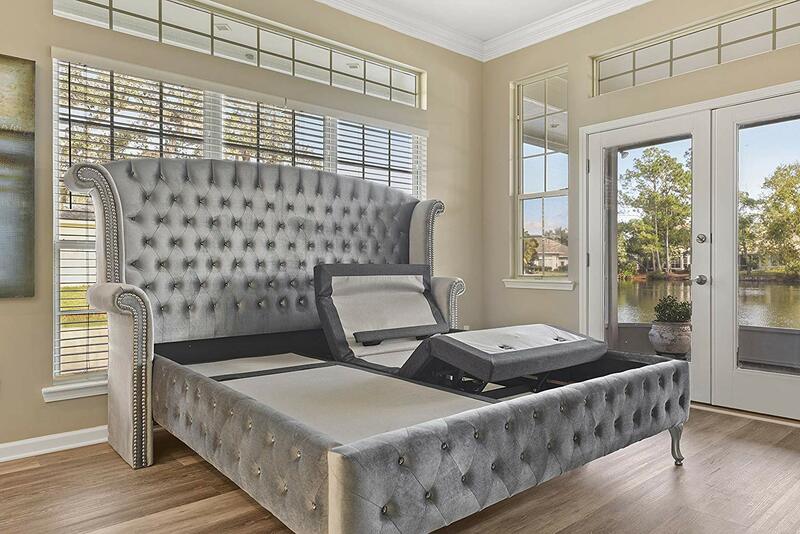 Lumbar adjustment with pillow tilting plus all the nice to have features at the quoted price makes this bed the most lucrative deal one can expect, especially in high-end premium adjustable beds segment. Sven & Soft is clearly not short of even a single feature. Simply THE BEST offer.